The Jewish year begins with the Days of Awe (yamim noraim). We celebrate the creation of the world on Rosh Hashanah, and ten days later, Yom Kippur (the Day of Atonement). We not only have services that speak to adults on their level, but also services aimed at toddlers, school age children, and teenagers. On each of the three pilgrimage festivals (chagim) — Sukkot, Pesach and Shavuot — services are held at 9:00am on both the first and concluding days. Yizkor (memorial prayers) are included on the last day of Sukkot (Sh’mini Atzeret-Simchat Torah) and Pesach. We believe in the full emotional range of Jewish observance! We celebrate Purim and Simchat Torah with a strong emphasis on family involvement and joy — even frivolity! Reform Sukkot Service: Sunday, September 23, 7:00pm. Services will be followed by “Sundaes in the Sukkah,” a FREE make your own sundae bar! Beginning five days after Yom Kippur, Sukkot is named after the booths or huts (sukkot in Hebrew) in which Jews are supposed to dwell during this week-long celebration. According to rabbinic tradition, these flimsy sukkot represent the huts in which the Israelites dwelt during their forty years of wandering in the desert after escaping from slavery in Egypt. The festival of Sukkot is one of the three great pilgrimage festivals (chaggim or regalim) of the Jewish year. For more information, see Sukkot 101 (courtesy of MyJewishLearning.com). 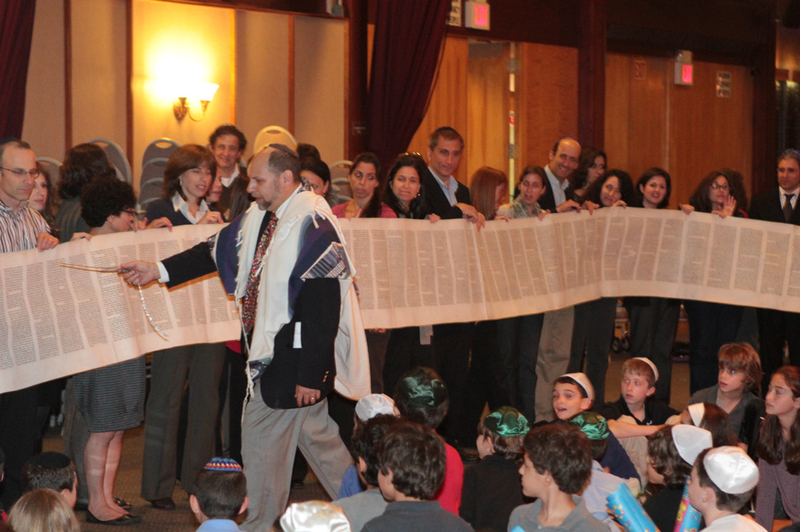 At Sukkot, Temple Beth Abraham traditionally holds Consecration, where we invite our new Religious School students to be recognized with a special blessing on the bimah. Passover is a major Jewish spring festival, commemorating the Exodus from Egypt over 3,000 years ago. The ritual observance of this holiday centers around a special home service called the seder (meaning “order”) and a festive meal; the prohibition of chametz (leaven); and the eating of matzah (an unleavened bread). Jews gather with family and friends in the evening to read from a book called the haggadah, meaning “telling,” which contains the order of prayers, rituals, readings, and songs for the Passover seder. If you are looking for a seder to attend, please contact Rabbi David Holtz or Cantor Margot Goldberg and we will find a place for you as a guest at a congregant’s home. The service will include a memorial candle lighting. All are urged to attend and this service is appropriate for children aged 8 and up. Community service at 6:15PM in memory of those who lost their lives creating and defending the State of Israel (Israel’s Memorial Day – יום הזכרון), followed by dinner, Israeli-style and a speaker. The speaker is Rabbi Fred Schwalb. He is the current president of the American Friends of Beit Morasha. Beit Morasha of Jerusalem is devoted to advancing a vibrant and inclusive vision of Judaism, through cultivating inspired and dynamic Jewish leadership for the State of Israel and the Jewish world. ).